Our aim is to produce quality work at reasonable prices. When quoting for a project we detail how the proposed solution will work and both the advantages and disadvantages with respect to the customer's particular requirements. Rather than overselling the benefits we concentrate on setting customer expectations at a realistic and achievable level. In this way when a project matches or exceeds the customer's expectations, it will be judged a success and will be more pleasurable for all concerned. Moreover satisfied customers are more likely to ask us to do further work or recommend us to other companies! A clearly written specification of the requirements that is understandable to the end-user is essential. Sometimes writing the specification forms a separate, chargeable project which may include creating prototype programs to demonstrate key features of the proposed solution. We base our time and cost estimates on the requirements specification. In most cases we sub-divide projects into phases that can be managed more easily and, if the customer wishes, can be ordered separately as a means of reducing risk. Click here for further insights into our approach to system design. We try to avoid unnecessary jargon and to inform customers in a clear and concise manner. We are able to do this because we were all trained as engineers and worked in industry as design and production engineers before moving into CAE software development. Complex software is never perfect. Testing is one crucial means of ensuring fewer errors and the process of defining appropriate and realistic test cases often helps clarify the requirements for a project. If a customer is able to define test cases, we are happy to guarantee that our software will produce correct results in those cases. We normally provide a copy of the software source code to the customer and rights to the software belong jointly with ourselves. This enables our customers to extend or maintain the software should they so wish. However, we supply our software on the understanding that the customer will not disclose the source code to any other firm or company unless otherwise agreed in writing. The computer programming tools, skills, routines and libraries we employ to develop software for our customers remains the sole property of ADE Ltd and shall not be made available for use by any other person or company. 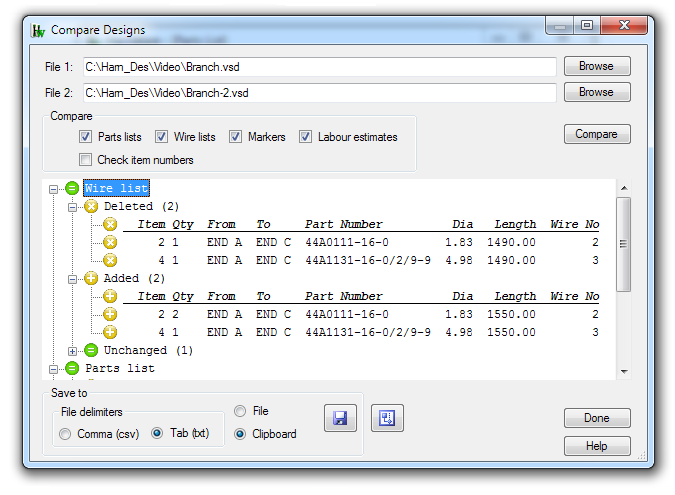 Many projects require a significant amount of work to set-up databases, graphics, standard drawing templates, parametric 3D model definitions, etc. Normally we provide the necessary structures and some sample data that is adequate to test and demonstrate the software. The remaining data is then entered by the customer as this is usually the most effective way of working and of utilising our different knowledge and skills. 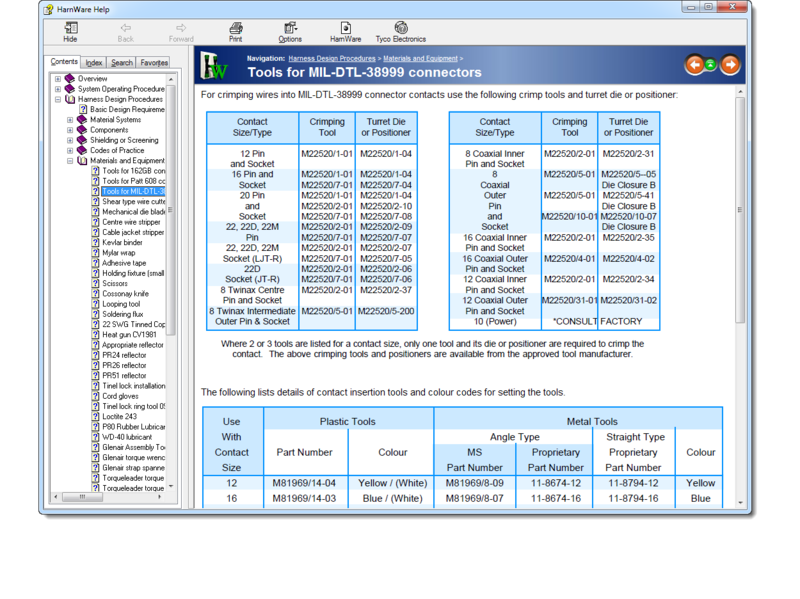 We are happy to provide on-going support and to add extra features to the software we develop for our customers. ADE is a stable company, established in 1978, and as a small company we are normally able to respond to customer requests much more quickly than most larger organisations. Moreover being small and stable has helped us develop close and long term relationships with our customers. The vast majority of our work is repeat business from existing customers. 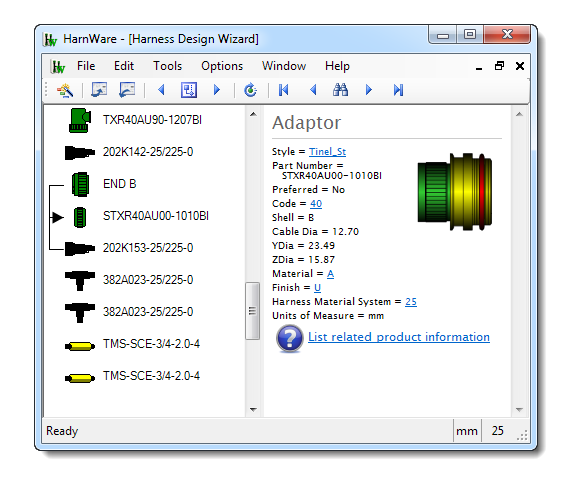 Some output from the HarnWare design checking option. A help system topic for one of our systems. 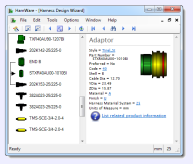 Comparison of two harness designs in HarnWare. 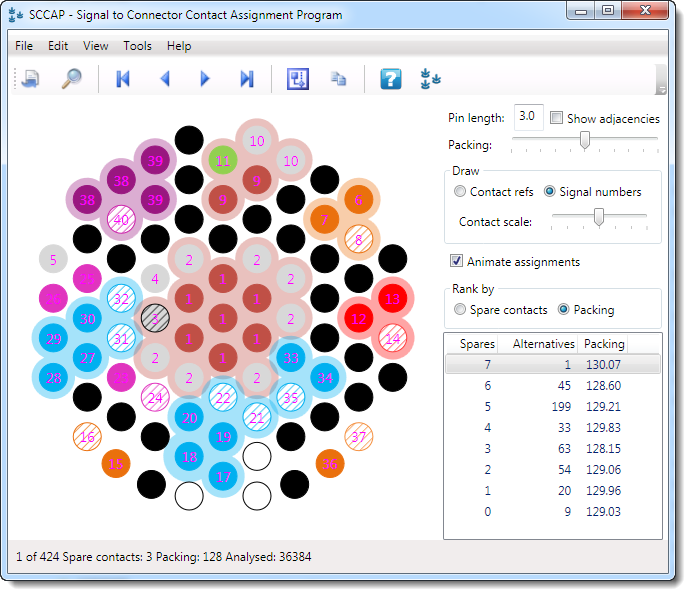 A screen shot of the signal to connector contact program we are currently developing. 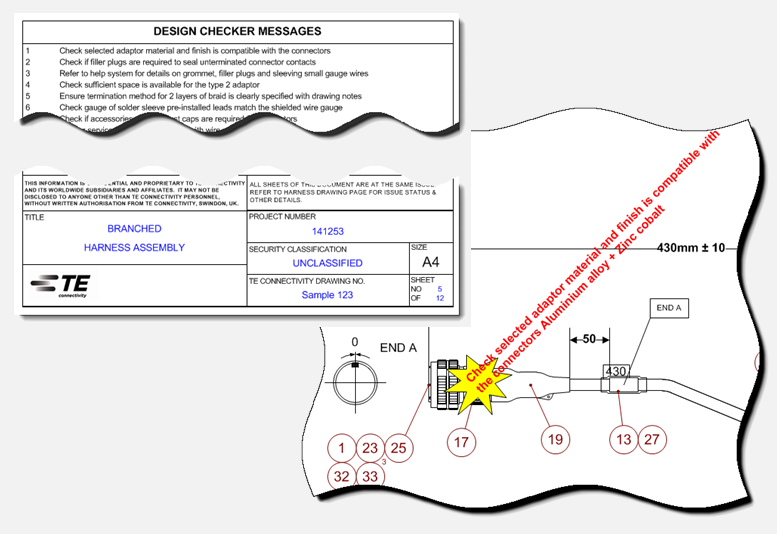 Copyright © 1978 - 2014 ADE Analysis & Design Engineering Ltd. All Rights Reserved.